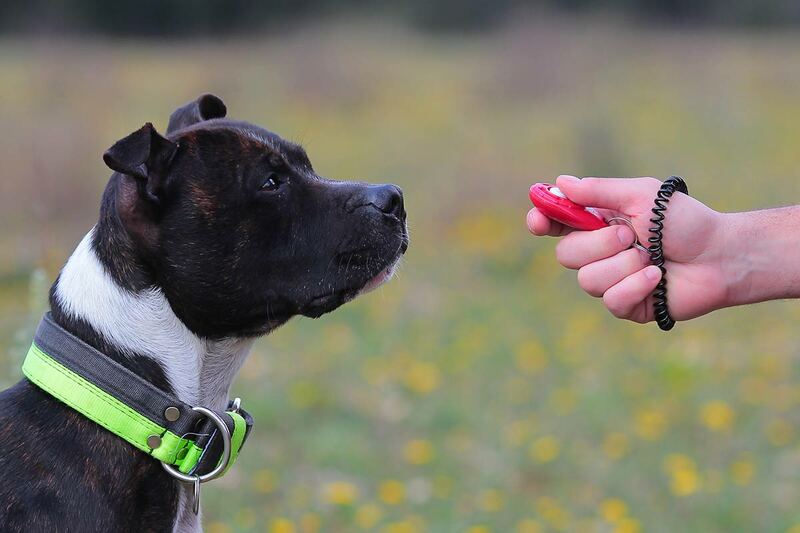 This article is for anyone who wants to work with a clicker, with a dog that has not previously been introduced to clicker training. The clicker is the world’s most effective and popular event marker. It can seriously enhance your dog training skills. But before you can use yours, you are going to need to charge it up. When you first purchase your clicker, the sound it makes is meaningless to the dog. 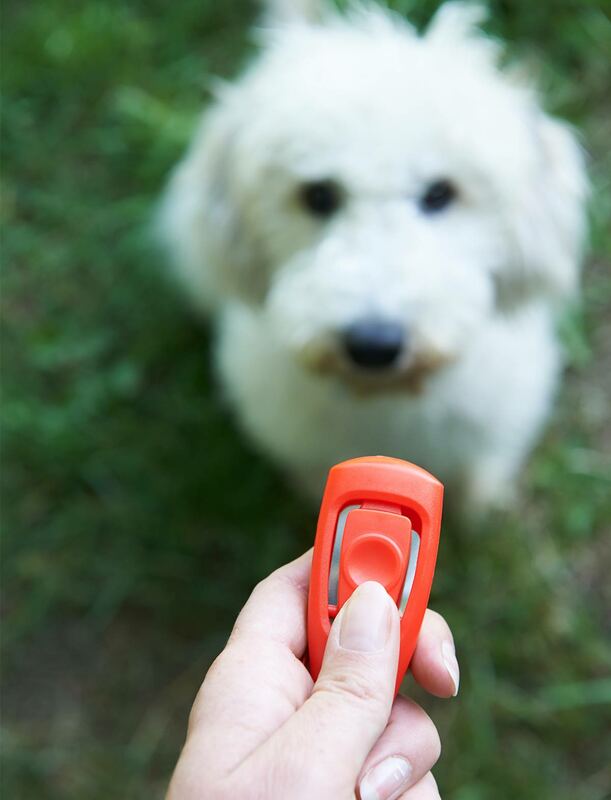 The power of the clicker as an event marker relies on the click being indelibly associated with a valuable (to the dog) reward. The process of associating the click with the reward is a simple one. We just pair the click with a nice tasty reward, repeatedly, for as long as it takes to make sure that the click itself has become ‘rewarding’ to the dog. It doesn’t take long to charge up a clicker, just a few sessions, each lasting three or four minutes. You will know when your dog is ready because on the sound of the click he will clearly be expecting that treat! For each session, you will need ten to twenty tiny (pea-sized) tasty morsels of food. You can use little cubes of cheese. Or tiny slivers of left-over cold meat from the fridge. In fact anything your dog really loves and would like to get in his mouth. You can put the treats for the session in a bowl or pot where you can reach them and the dog cannot. Make sure the dog is in the same room as you, away from distractions. You can’t do this while your six year old son throws the dog’s ball around, or whilst someone is stroking him. There should be nothing else going on. Now you can get going. Take a tiny treat in one hand and your clicker in the other. Repeat ten to twenty times. Make sure that you press the clicker when the dog is in different places, and in different positions. For example, you can do some clicks when he is standing in his bed, some when he is next to you etc. To get him in different parts of the room, throw the treat in different directions. The click from a clicker has no meaning to a dog that is new to clicker training. That’s all there is to it. A couple or three sessions like this, an hour or two apart, and the job is done. Your dog will now ‘feel good’ when he hears the click. He’ll also expect a treat so don’t disappoint him. You are now ready to train – have fun!